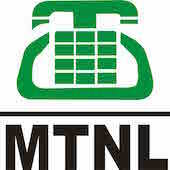 Online Application Details for Mahanagar Telephone Nigam Limited MTNL Recruitment of 66 Junior Telecom Officer is given below. Candidate's minimum education qualification for the Vacancies in Mahanagar Telephone Nigam Limited MTNL should be Degree in engineering / BE / BTech in Electronics & Telecommunication / Computer Science / IT / Electrical Engineering / Civil. GATE 2015 qualified.